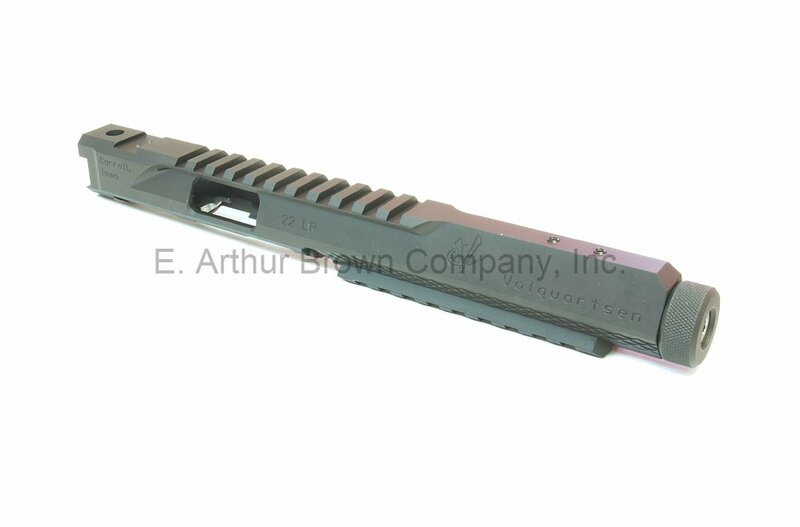 The popular Volquartsen LLV barrel concept re-engineered for the Ruger MK IV pistol. Order Sights and Compensator Separately. 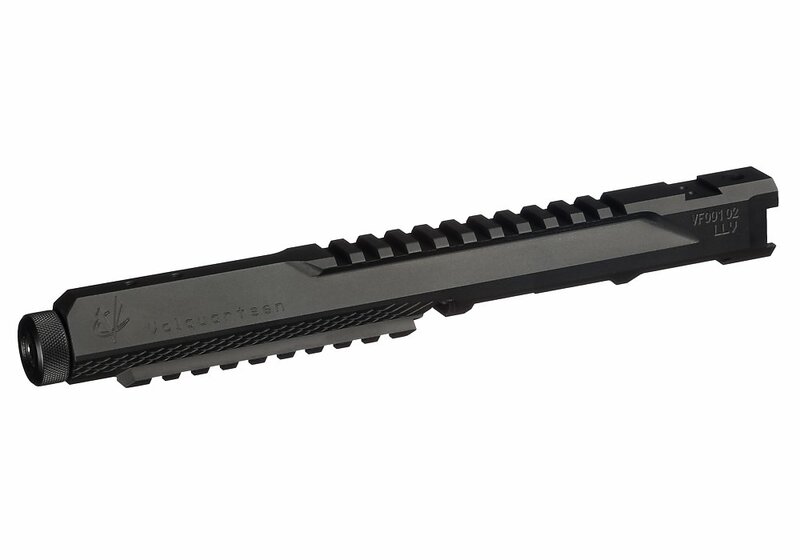 This new upper is extremely lightweight and well-balanced, and the accuracy is said to be even better. How was that done? 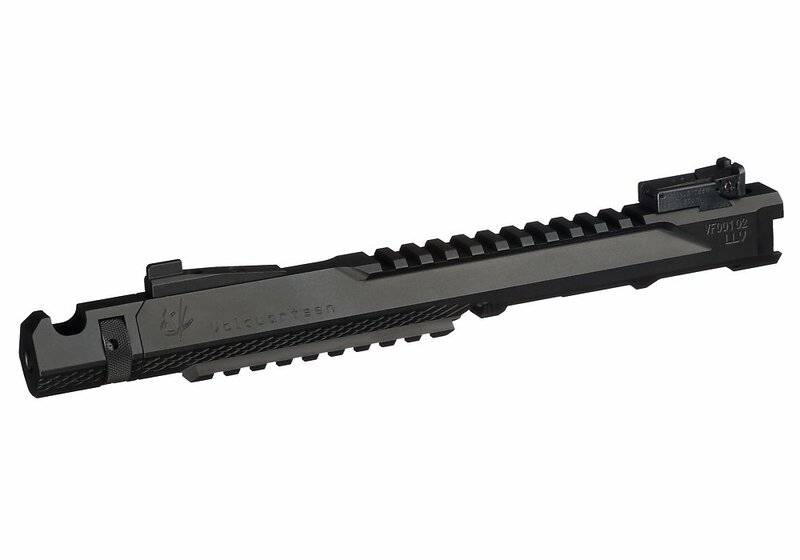 The lightweight aspects are credited to a Type III hard anodized machined aluminum receiver. 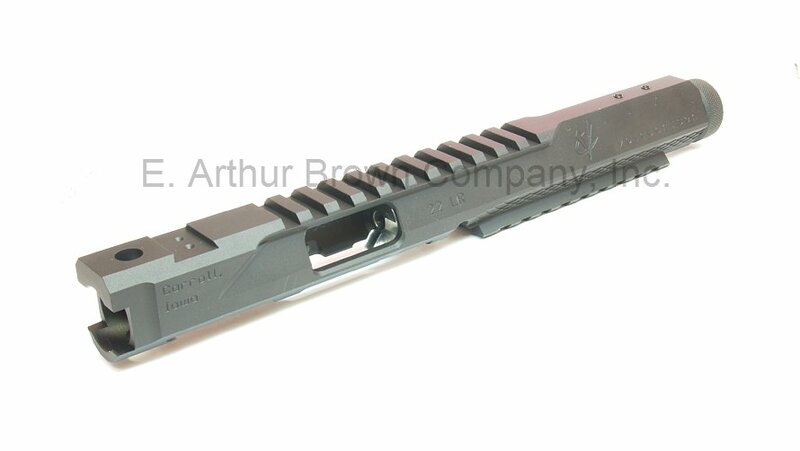 But the accuracy comes from fitting it with a stainless steel match barrel and breech. 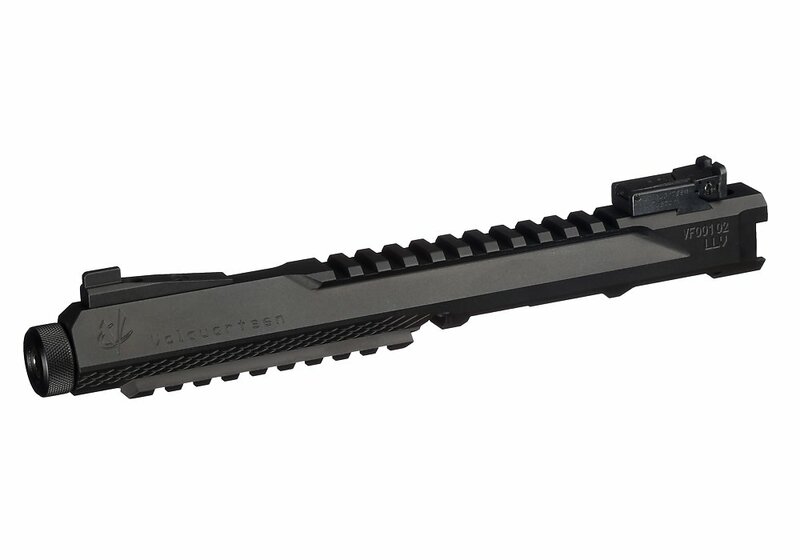 The Volquartsen Mk IV LLV-4 Competition Upper is unlike other lightweight designs in that even though it is lightweight it still features a stainless steel breech to withstand the rigors of competitive shooting.